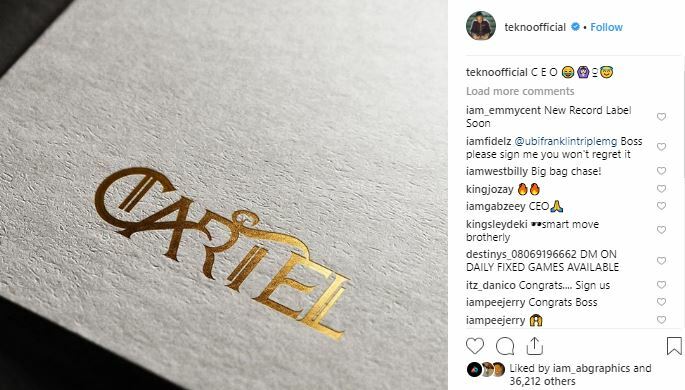 The RARA Crooner, Tekno Miles, has left Made Men Music Group owned by Ubi Franklin to set up his own record label which he named cartel. He disclosed this on his Instagram page, where he declared himself the CEO of his new record Label. Recall late last year the Diana singer announced via social media that he lost his voice due to result of damage voice box and was recuperating all through the festive season. 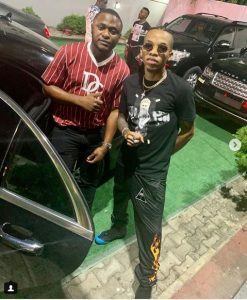 His record label boss Ubi Franklin also confirmed it after Tekno returned to Nigeria a few weeks later. Although he released a single in December 2018, much hasn’t been heard of him since then.